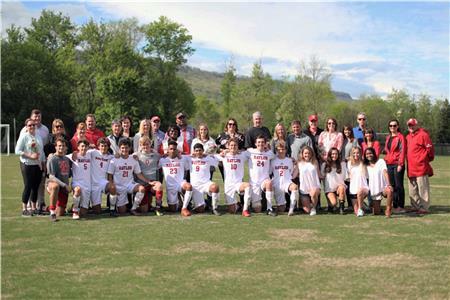 Baylor hosted Pope John Paul II Tuesday night in a region soccer match. The Red Raiders celebrated their seniors with three second half goals to win 3-0. At the 54th minute, Patrick Urey scored off a Eemeli Makela to put Baylor up 1-0. At the 66th minute, Keegan Weekley scored off a Eemeli Makela free kick. At the 71st minute, Miles Marks scored off another free kick by Eemeli Makela. "We struggled technically in the first half," Baylor head coach Curtis Blair said. "But were much cleaner in the 2nd half. It is always tough to play on senior night as their is so much emotions. I am proud of these seniors this year. They have shown great leadership this year and are even better human beings with great character. I am going to miss them next year." Baylor's Henry Hooks and Mats Pokela combined for two saves. Baylor improves to 11-2-2 on the season.